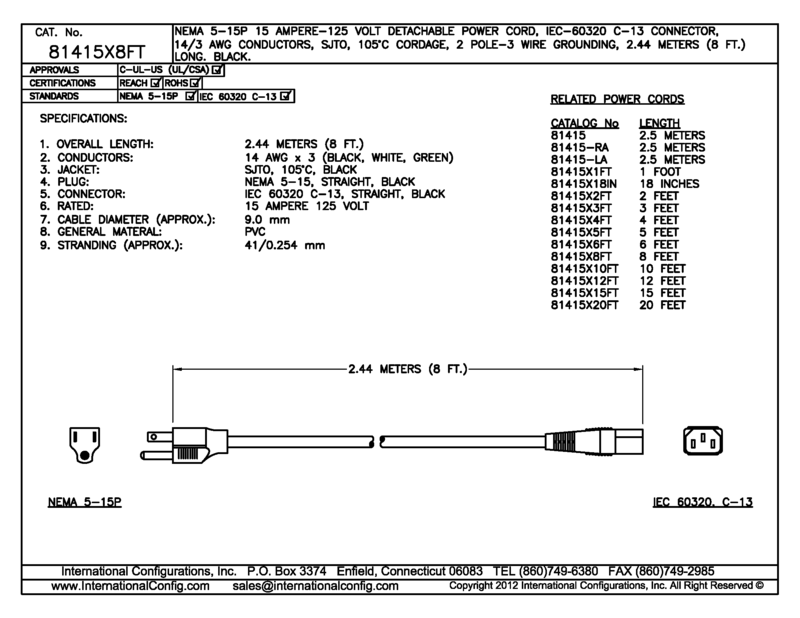 Detachable power cord set with NEMA 5-15 (NEMA 5-15P) plug and straight IEC 60320 (320) C-13 connector. 8 feet long. Cordage is black SJTO, 14/3 AWG (105C). Rated 15 ampere 125 volt. 2 pole 3 wire grounding. 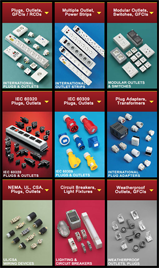 Available with shielded cordage, IEC 60320 (320) C-15 120C connector and / or custom length.